So much is happening around the world right now that it is hard to keep up. While on the surface things appear to be calm and settling, there are major changes taking place behind the scenes that are reshaping the global financial environment for decades to come. This first, of course, is the continuous, relentless, destructive barrage of horrifying mistakes coming from the American leaders. Obama announced all week his focus on pushing forward legislation that will give our Federal Reserve far greater powers than they currently have to intervene/destroy our markets. No one has mentioned to Obama that the Federal Reserve is without a doubt, the number one reason we are in a financial crisis today. 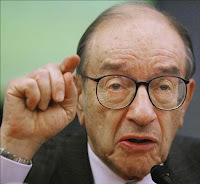 Remember back to the 1990's, Alan Greenspan injected liquidity and eased monetary policy every time there was a hiccup in the markets. He created a "can't miss" environment for stock speculators and new businesses. Then when our country needed a recession in 2001 to cleanse the system of his mistakes during the 1990's, he hammered the nail into our coffin. He decided to take interest rates down to 1%, and inject a tremendous amount of money into the economy after 9/11. This action not only inflated the housing bubble, but blew up a derivatives bubble that now stands in the hundreds of trillions. This past fall, when a deep and cleansing recession was needed more than any time in our history, Bernanke took interest rates down to 0% and has held them there. He has backstopped every financial institution, the money markets, the commercial paper markets, and has been personally buying mortgages, credit card, auto, and student loan debt. The Fed's balance sheet has exploded in size, and he now stands behind what is estimated at $12.8 trillion in guarantees. 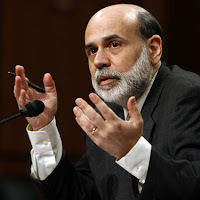 This man has now been appointed by Obama to become the dictator of our financial system. However, Obama has also taken some time to personally pummell the country with his own magic touch. Last week he intervened in a supreme court decision on the Chrysler bankruptcy. Before we get to that, its important to understand that one of the most important factors, if not the most important, why investors around the world invest in our country is because we have a true free market and a court of laws that govern contracts. Last year a teacher's pension fund down in Texas decided to invest some of their capital in Chrysler. Chrysler was already in trouble, but they were given certain guarantees should something go wrong with the car company. They knew that their rights would be upheld in a court of law, and this gave them the courage to invest in the company. Well, something did go wrong. When Obama tried to cram down a bankruptcy a few weeks ago, they objected, stating that their rights as creditors were not being upheld. The decision last week was thrown out of court, and their case was not even heard. The courts decided to give great favor to the United Auto Workers in the hearing, while other creditors were left out to dry. The United Auto Workers, if you cannot remember, were at the top of the list for campaign contributions for our new car Czar, President Barack Obama. This has now raised the red flag to the rest of the world that if you invest in our dying country, not only do you have investment risk, but your rights as creditors can be thrown out of court if Obama does not think it is fair to his campaign contributors. This will not happen instantly, but it sets the stage for money to continue to move away from the United States at a time when we need it more than ever. Meanwhile, overseas this past week, Brazil, Russia, India, and China (known as the BRIC countries) all met to discuss their thoughts on our future global economy. These four countries represent the future growth for the global economy, and their policy decisions will shape everything moving forward throughout this century. After the meeting they announced to the press their continued love for the US dollar and the strength of our markets. This was an interesting turn of events because at the G8 meeting only two months ago these countries were voicing their interest in a global reserve currency and a move away from the dollar. Imagine a small retail store in a shopping mall strip. On the front of the store there is an American Flag that says I love the US dollar and I love buying treasuries. In the back alley behind the store, the owner is unloading boxes of US treasuries in exchange for natural resources. This is exactly what these countries are doing right now. The process is known as "flying kites." They show up to press conferences and announce their love for the dollar, but their actions show a sharp move away from the dollar based on their recent purchases. Their hope is to continue to slowly exchange their worthless dollars for natural resources while the dollar still holds some value in the global marketplace. Unfortunately, it appears that the last ones to understand what is happening is the American public. The rest of the world will continue to load their ships with valuable goods for as long as they can. When the dollar starts its final plunge into oblivion, they will release our anchor from their boat and wave to us as we sink into our ocean of freshly printed currency. I often hear the question, "If the United States is in such bad economic shape then why has the rest of world lent us so much money over the years? Why have they allowed our debts to grow so large?" The reason this has happened is because the United States used to be the greatest economy in the world. I would argue that between 1900-1960, we were the greatest economy in history. We set up a capitalist framework that allowed business to flourish. We had freedoms that no other country could match, and we were the world's producers and savers. Most people probably do not remember, but in the 1950's we were the Saudi Arabia of the world when it came to oil production and exports. We were the largest producers of all manufactured goods. We worked extremely hard, and we built an incredible economic machine. However, since the late 1950's we have been in a constant state of decline. It has not appeared that way on the surface, but underneath our rosy picture today is only cobwebs. This happens to just about anything that reaches its peak. An athlete that becomes the best in the world has trouble waking up every morning and continuing to push himself to be better. A company that becomes dominant in a particular industry usually begins to relax and enjoy their prominence. They spend less time focusing on profit margins and growth, and more time working on company vacations. The reason we have been able to borrow this much money is because we were once so great. Microsoft and Berkshire Hathaway, which are run by Bill Gates and Warren Buffett, could make bad business decisions for many, many years before a creditor would stop lending them money. The baby boomer generation and my generation have been allowed to live off the work of our previous generations. Instead of waking up every morning hungry, trying to push our economy further ahead of everyone else around the world, we have gone on vacation. We have decided that instead of working and saving to buy the things we need, we will borrow today and pay it back later. The baby boomer's retirement has already been spent, it has already been enjoyed. Now there is nothing left except the bill. The total bill today after the spending to "save" our financial waste companies is now over $100 trillion by some estimates. This means that my generation and my children's generation have to sacrifice over $100 trillion in consumption and enjoyment in order to pay back the money. Unfortunately for me, I did not spend any of that money. I did not buy a house 100% financed. I do not have thousands of dollars in credit card debt. All I have is a bill that has been handed to me. My generation and their children do not have to stay in this country and pay the bill. Fortunately for America, most younger people today have no idea how much trouble we are in. Every week I hear more and more frightening plans and schemes coming from Obama and his team of mass destruction. Every week I have to ask myself if this a country I want to live in? More importantly, is this a country that my children will have the best opportunity in? I think more and more of my generation is waking up every morning with this thought. If they decide that they do not want to sacrifice to pay Obama's bills, then the only man left to pay them is Mr. Bernanke. Fortunately, he has enough money for everyone. There's something important I want to take a minute to discuss. When I speak with people about the United States falling and emerging markets rising, I think people in their minds look at absolute extremes. Lets say that the United States economy is represented as a number. Right now we have the world's largest economy so we'll say that we are worth 9,000 points. Our economy is far, far, ahead of where China, Brazil, and India are right now. In most of the areas within those countries they are driving on dirt roads, riding bicycles, and eating rice paddies. We'll estimate that China today is worth 2,500 points. So lets say that the United States continues on the direction that it is currently on, which is losing economic power, and that it falls in value from 9,000 to 7,000 points. Lets say that China continues on the direction that it is currently on, which is gaining economic power, and it doubles in value from 2,500 points to 5,000. When this happens the United States is now worth 7,000 points and China is worth 5,000. The United States is still larger and more powerful than China in economic terms. I am not trying to dispute that point here, the United States will not live off of rice paddies tomorrow, or even next week. If you are deciding on a country to live in over the next five years (assuming that a similar scenario takes place), there is a strong argument to live in America because of its continued economic dominance. But what about where to invest your money? Lets say that you are looking out 5 years and you want to invest $500,000 of your retirement money. You will hear from everyone you talk to that the United States is the best place to invest because it is the largest economy in the world and it will still have the largest economy 5 years from now. So you take $500,000 and invest it in the DOW today which is currently around 9,000. We come back to see these investors five years from now. The first one is very proud. The country he invested in is still the largest and most powerful in the world. He is currently holding 7,000 points. He goes and talks to the second investor who now holds 5,000 points. He tells him he made a mistake because 7,000 is worth far more than 5,000. But what happened to their money? Investor 2: 2,500 up to 5,000 = $500,000 up to $1,000,000. As you can see when you are investing all that matters is the direction we go from TODAY. I know this is a simple concept but I think its one that investors have trouble understanding. The same concept applies to real estate, bonds, currencies, everything. The question you have to ask yourself is whether the United States economy will expand or contract over the next five years. If you think it will expand, do you think it will do so faster than other countries around the world. As you know, I believe many emerging markets around the world will far, far, outpace the United States over the next five years. I will continue to discuss the many reasons for this belief as we move forward through this exciting time.